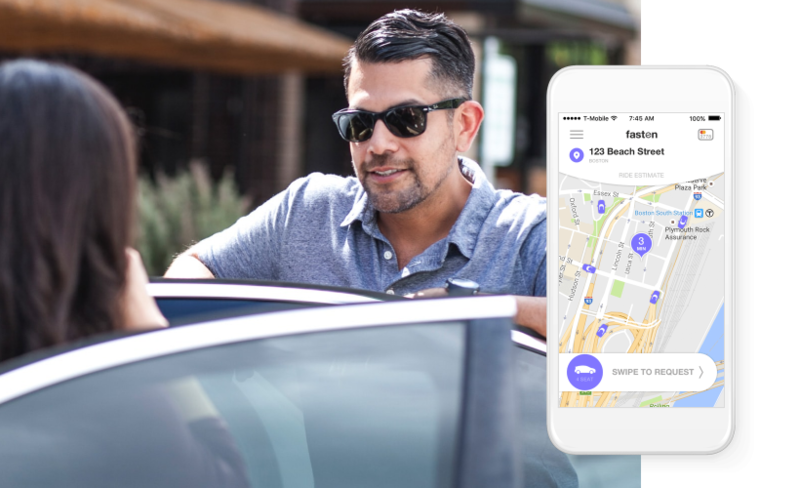 The ridesharing service Fasten raised $10M in Series A funding round from Almaz Capital VC firm and multinational group of companies UFG Capital to challenge Uber and Lyft. Fasten, with HQ in Boston, was founded in 2014 by Kirill Evdakov, Evgeny Lvov, Roman Levitskiy and Vlad Christoff. The total funding amounts to $15M. Investors believe that Fasten can take its niche in the sphere of passenger transportation despite such serious competitors as Uber and Lyft. According to Fasten’s CEO Kirill Evdakov, October was profitable for the company. The fees that drivers pay to access Fasten are much lower than those of their competitors: they are charged only a flat fee of $1 per each ride, without percentage from the fare. By contrast, Uber takes a rider fee of $1.65 plus 20% of the fare. At Fasten, the fare is transparent for the passengers – they can track it through the Fasten iOS or Android app as they go in real-time. The total equity funding of the company is estimated at $15M. Fasten is going to spend the money to hire more developers, accelerate product development and strengthen its position in Boston and Austin. By the way, Fasten was the first ride-sharing company to hit the Austin market after Uber and Lyft left it, since drivers were obliged to be fingerprinted. As of today about 50% of Boston’s ridesharing drivers and 90% of those in Austin use Fasten service. Their fares for passengers are also lower than those of competitors and are fixed. Recently GoalEurope wrote about another ridesharing startup Juno from the co-founders of Viber. They were on the track to win NYC drivers. The startup has already started to prepare for the Series B funding and is planning to expand to other cities as well as grow the staff in the Boston office. Fasten employs 30 people in Boston, 4 in Austin, and 70 employees are based abroad.